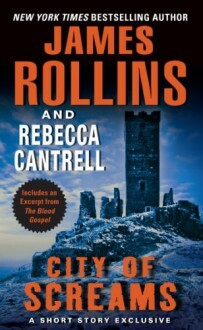 From New York Times bestselling author James Rollins and award-winning suspense novelist Rebecca Cantrell comes a disturbing story of vengeance, bloodshed, and creatures that prowl the night.In the haunted, war-torn highlands of Afghanistan, amid the ruins of Shahr-e-Gholghol, an archaeology team is massacred in the night. Sergeant Jordan Stone and his crack forensic team are called in to examine the site, to hunt for the perpetrators of this horrific act. But the discovery of a survivor—a child of ten—will shatter all the team knows about life and death. Among the crumbling bones of dead kings, something hoary and murderous stirs out of the ancient past, lurching forward to claim vengeance on those still living. Included with this thrilling story is a sneak peek at The Blood Gospel, where the further exploits of Sergeant Stone and his team will be revealed.